Here's one of the 350z's that I did some vinyl work on while up in the bay area / norcal. 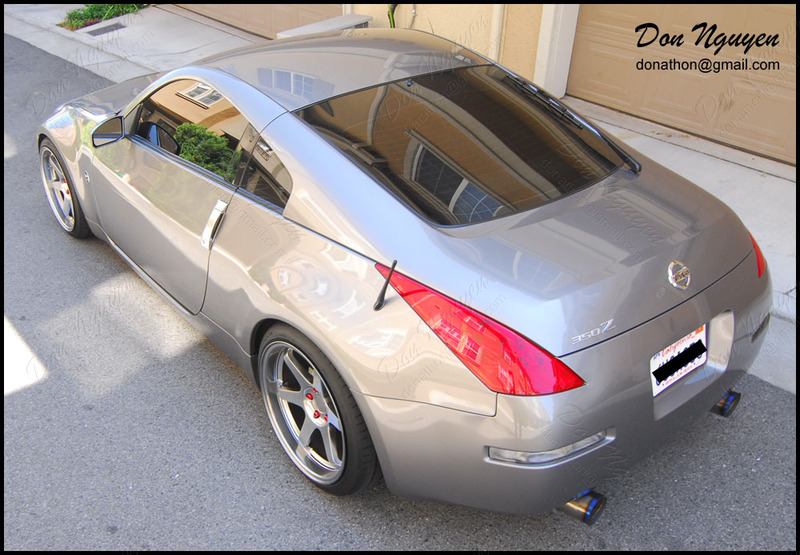 The owner of this silver 350z wanted me to vinyl wrap his roof in my gloss black material. His windshield, side windows, and rear windshield were also tinted. He wanted to give it a continuous flow / look from the roof to the front/rear windshield, which is what we got with the final results once everything was done. It looked good. The gloss black matched nicely with the glass.